Just because people stop reporting on something doesn’t mean the problem itself stops. The Somalian pirate attacks on oil tankers and cargo ships have stopped being newsworthy ages ago. That said, they’re still happening. Fortunately, British defense company BAE has a great idea to fight off pirates, from Somalia or elsewhere. BAE has unveiled a new anti-piracy laser weapon, designed to use high-frequency beams of light to distract and blind pirates, while alerting crews to their presence. 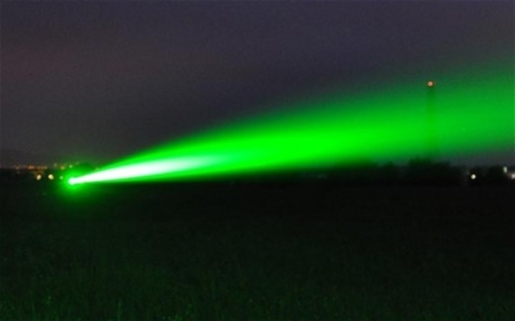 The laser, a three-foot-wide beam of green light, is being paired with a high frequency surface radar to help it detect and stop the kind of ships that Somali pirates favor. It is believed that more than 600 sailors are being held for ransom by Somalian organized crime elements; 47 ships were hijacked near Somalia in 2010. The weapon still needs to be approved by the United Nations before it can be put into service.